Living in Henderson County, we are spoiled by all the great trails running through both Federal and State forest land. Hiking, biking and horse back riding is in full swing right now as the weather has been conducive to outdoor activities. Dupont State Forest is probably the best known area for such activities. 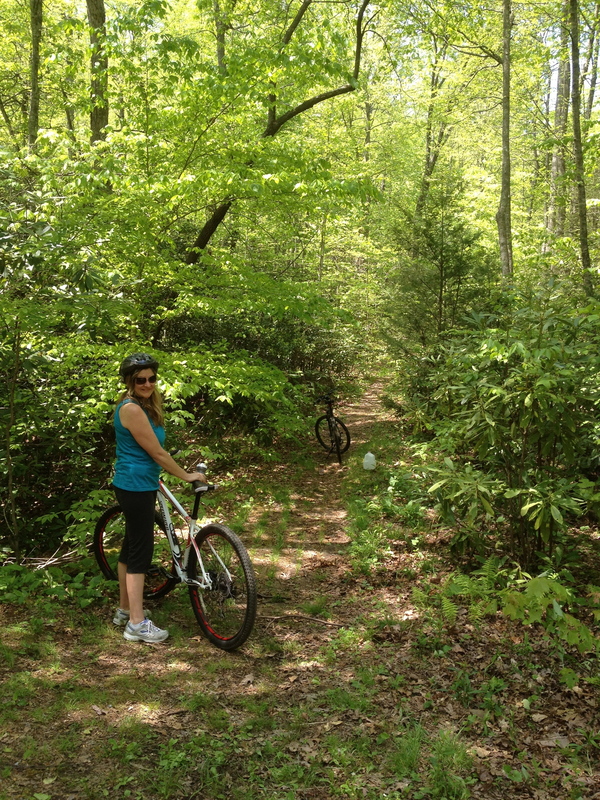 Bent Creek in Buncombe County is also a haven for bike trails. 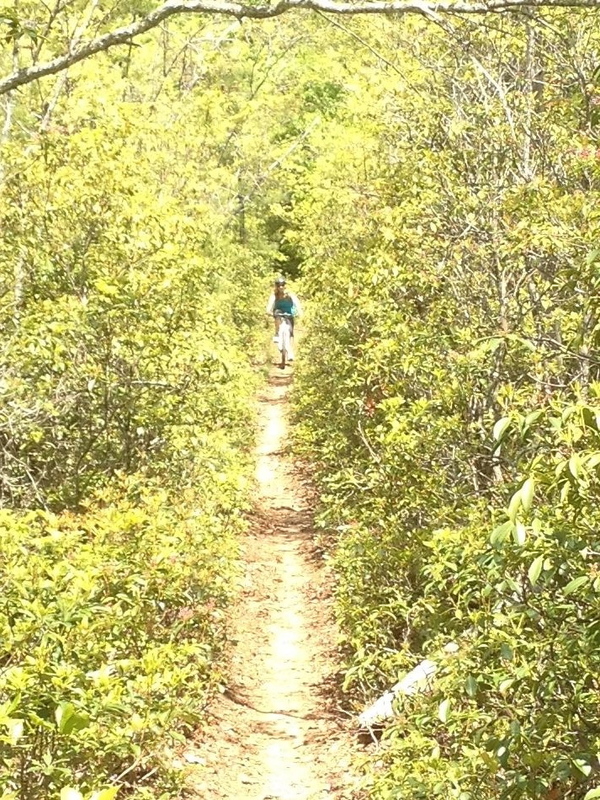 But the less known North Mills River trails are our favorite. This winter, we purchased multi-use bikes for riding paved and gravel trails in warmer places like Hilton Head. Spring came early, and we have enjoyed riding through Hendersonville and the wonderful trails provided by the parks department. Hendersonville is becoming a very bike friendly community, as is Asheville, and it’s not uncommon to see groups of bicyclist on the roads and trails. The last month has given us some great weekend weather to experience some of the more advanced trails (for us beginners). The guys at Sycamore Cycles have gently reminded us that when we purchased our bikes, we said we were going to stay on mostly paved, gentle roads. But the mountain biking bug has bitten, so we have been pushing our bikes to their limits. This weekend, we literally pushed our bikes a few times as we conquered the Trace Ridge Trail – or it may have conquered us. Whatever the case, it was a lot of fun. The vertical climbs are a real challenge, but the fast downhills are both treacherous and exhilarating. Roots, rocks and stumps were frequent obstacles and navigation was pretty tricky at times. One of the wonderful things about the harder trails, however, is encountering other riders is rare, and nature is only disturbed by the narrow trail. 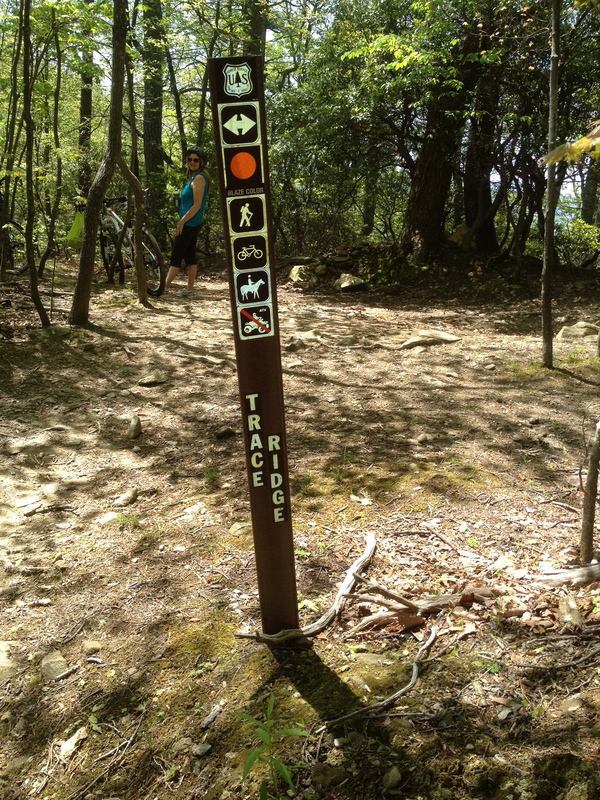 If Trace Ridge sounds a little advanced, rest assured that North Mills River has many easier trails. Many are gravel forest roads closed by gates to motor vehicles, and perfect for bikers and hikers. We purchased the Western North Carolina Trail Guide South Pisgah Ranger District map, which is a necessity on some of these trails, and money well spent for us. If you live in Western North Carolina and haven’t ridden the trails at North Mills River, then you need to get your bike up there! Don’t have a bike? The guys at Sycamore Cycles have been a great help to us in both sales and keeping our bikes tuned up. If you are thinking about visiting, they rent bikes too, so what are you waiting for?